Are you craving a more organized, peaceful and beautiful home? Would you like to head home knowing that a relaxing, energizing space awaits? Are you ready to make some changes, but don’t know where to start? You've come to the right place in the right time! JoAnna of (re)U creating new spaces works with busy women who live in homes they don't love. Women who are so exhausted by the end of the day they don't have the energy to create the home they want - much less tackle cluttered and chaotic areas that are stressful to look at. I'm JoAnna the owner of (re)U creating new spaces. That's my husband Matt and I. Yes, we're expecting our first child in the spring!!! JoAnna's clients are tired of their current look, lacking inspiration, and just don't know where to begin. So what she does is show them simple and effective ways to redecorate their homes reusing what they already own and adding additional pieces that are unique & thoughtful. The result is happy people living in places that they are proud to call home. 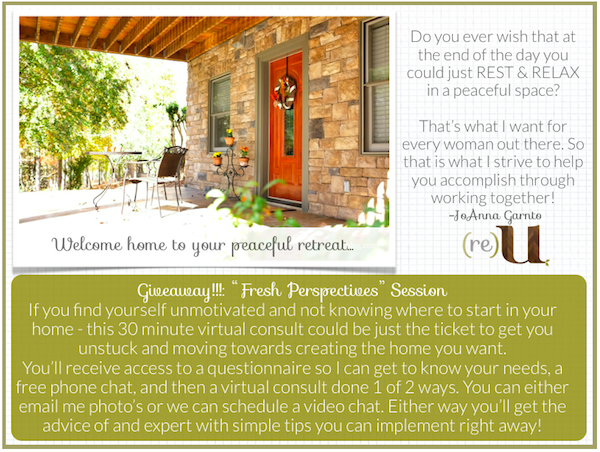 Now, here is the great news: Starting today and only for a week JoAnna is offering one of you a chance to win a free 30-minute Fresh Perspectives session (valued at $45). Just follow the Rafflecopter widget and you will secure a spot in the drawing to become the next happy customer of JoAnna's. And even if you don't win the giveaway, don't despair, make sure you visit (re)U creating new spaces and sign up for the newsletter, you will automatically receive an instant download "5 Simple tips for creating a peaceful home". 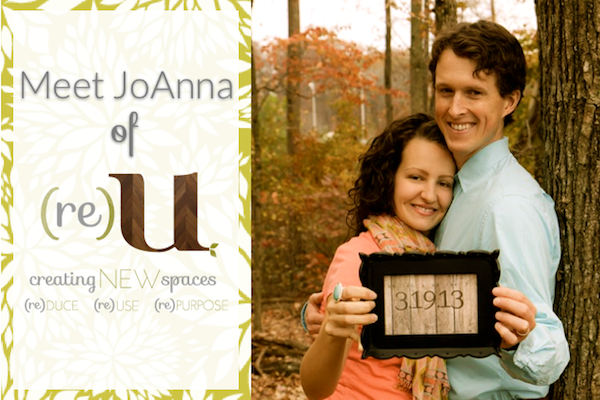 Also, JoAnna is offering all of you a 10% discount for her sessions! 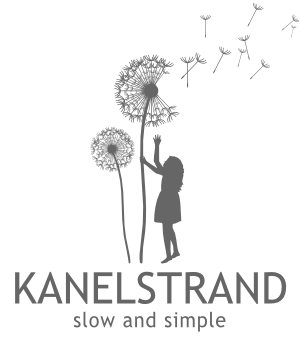 Just mention Kanelstrand.